Armed with Intel Core processors, HP ProBook 650 G2 is a laptop for professionals who desire enjoyable performance. It comes with a Full HD display while offering great battery life and some security features. The HP ProBook 650 G2 shows off a clean, modest design with a body featuring mostly plastic. This isn’t exactly a notebook you want to use to score many points before your friends in terms of look. But you have a candidate here if you need one that can withstand the odd knocks from usage. HP says the laptop has passed MIL-STD 801G testing. It features a spill-resistant keyboard with optional backlight. The HP ProBook 650 G2 sports a sizeable 15.6-inch LED-backlit display with Full HD resolution. It appears you can also get it in HD resolution and touch options. Integrated Intel HD Graphics 520 deals with graphics and HP says you have option of adding AMD Radeon discrete graphics. Third-party testing shows that you may expect the battery to last a full workday. Units of the HP ProBook 650 G2 use either a SATA hard drive or solid state drive for storage. You can boost performance by going for the latter option, although you may have to part with more money. Virtually all standard ports are onboard, including two USB 3.0 ports, a USB Type-C port and a DisplayPort. You also have a multi-format media card reader. Dual band Wi-Fi 802.11ac with Bluetooth 4.2 is available for wireless connectivity. The HP ProBook 650 G2 offers some security features its target users would ordinarily expect to have. These include TPM 1.2, HP Client Security, integrated smart card reader, HP BIOSphere and HP Fingerprint reader (optional). Models with vPro technology support remote management by your IT team. HP ProBook 650 G2 laptops are available Nigeria, Kenya, and Ghana. Price starts at around $859. 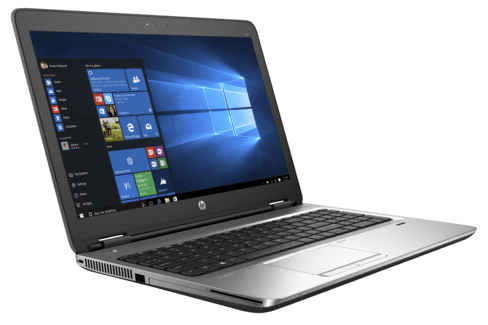 The HP ProBook 650 G2 price in Nigeria starts at around 335,000 Naira, depending on your location and the configuration of the laptop. Price in Ghana is expected to start at around GH₵ 4589. HP ProBook 650 G2 price in Kenya starts at 110,500 KSh.